The dust has settled, the boards have been taken down and the shouting has subsided. NWG 2013 is a wrap. As I wearily sip my morning coffee the highlights of a great weekend still give me a chuckle. It was a great event, full to the rafters and with a great vibe. 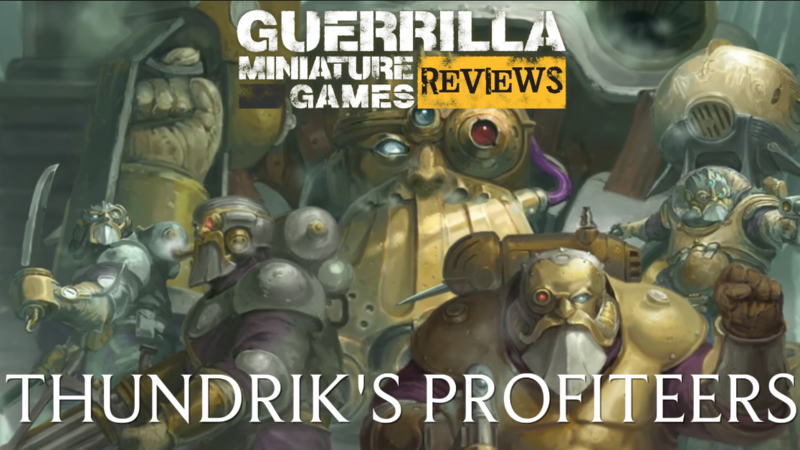 Ian of The Hobby Shack fame, Nigel, Matt and all the lads did a fantastic job once again, so hats off to them. 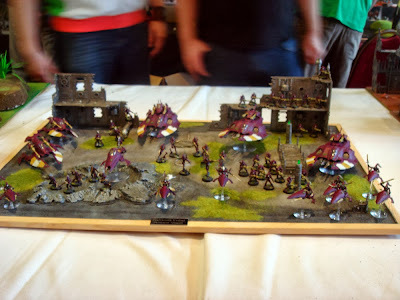 I played in the 2,000 point WHFB tournament. 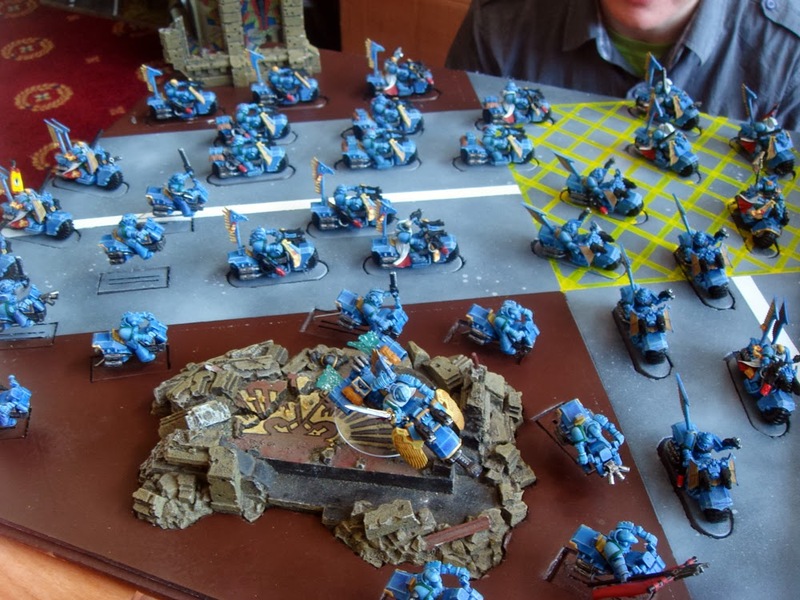 It was no comp, so full on warhammer. I hadn't played in a good while, and never with the list I took, so I was expecting a pounding. Game one didn't fail to deliver. This was watchtower, not my favourite. 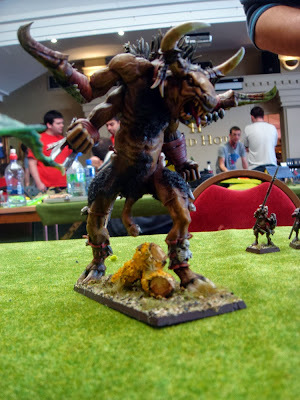 Mick (who went on to win the tournament) had a terrifying gutstar worth over 1,300 points, supplemented by four mournfang, an ironblaster and various chaff. Mick gave me a polite but definitive kicking, though he did have to make a couple of rolls to see if his gutstar and mournfang would break from combat. In the end, with the star in the tower, it was a 20-0. 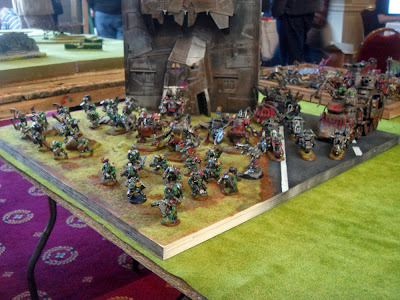 These gnoblars are like, totes in my way. Craig is in my club, but as we don't get to play too often I was very happy to meet him for meeting engagement. The dwarf army had two big slayer blocks, 2 cannon, a gyro and lots of quarrellers and thunderers. My battle standard bearer failed to show, so slogged behind the army until and errant dragonslayer challenged him and met his end at last. 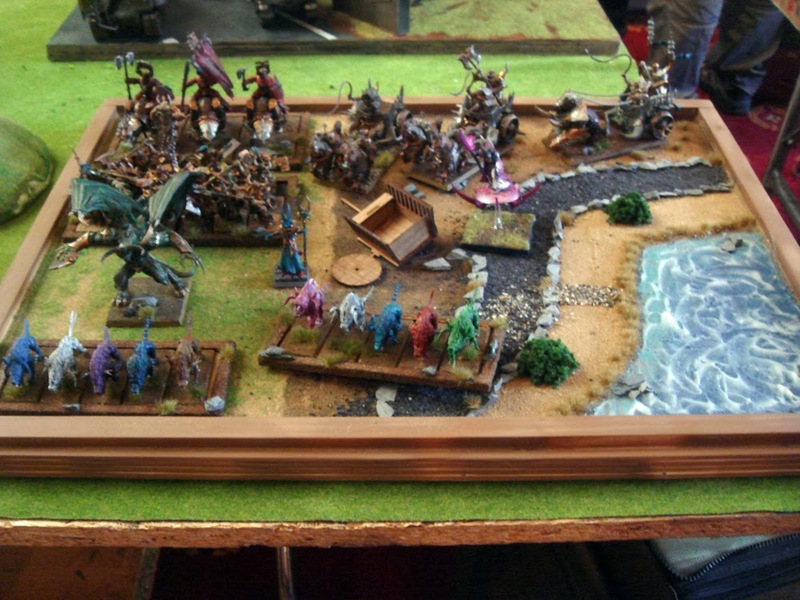 The wyrm riders (crushers) made a long charge into the slayers and spent the rest of the game chopping them up. The meargh (daemon prince) avoided some cannon fire until they both misfired, though a 2+ ward against flaming helped against the rune of burning on one cannon. The half-dead (forsaken) went down fighting another slayer block. A 12-8 to the fimir in the end. 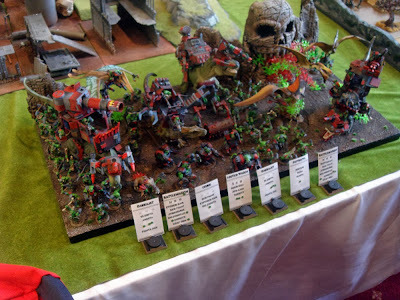 Dave was playing a pretty scary daemon list, a great unclean one, block of plaguebearers, skull cannon, soul grinder, two units of horrors and two of beasts of Nurgle. 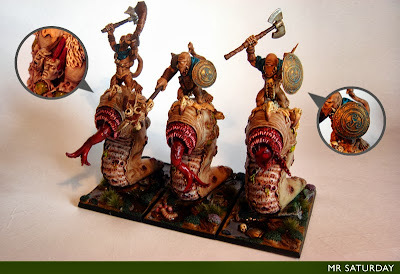 I've learned to fear beasts of Nurgle. Dawn attack was the scenario. Even with the meargh taking down the skull cannon and the plague bearer block, the beasts tore me up. A great game all the same, with Dave winning 18-2. 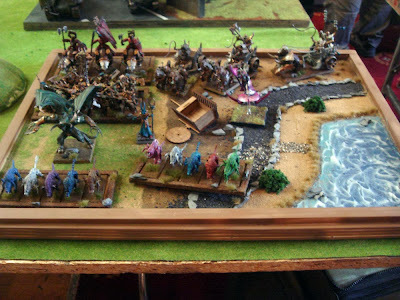 Mark was fielding a unit of dragon princes with all the trimmings, including a lord with all the saves and the giant blade and a tooled up bsb. Some silver helms, archers, reavers and two forstheart phoenixes filled out the army. 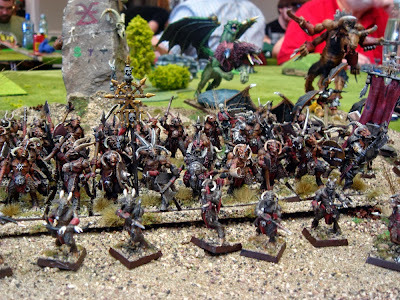 Blood and glory was the scenario. 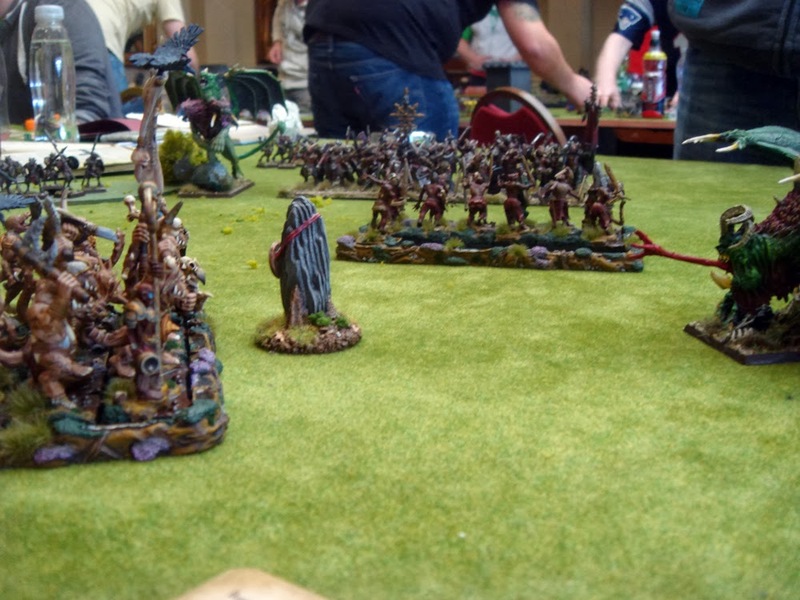 My wrym riders spent the game taking down one frostheart while my half-dead and fimm (warriors) ground out the dragon princes after the half dead withstood the initial charge due to rolling four attacks each and armour piercing for the first round of combat. The lord broke on turn six ending the game. A 19-1 to the fimir. Battleline. 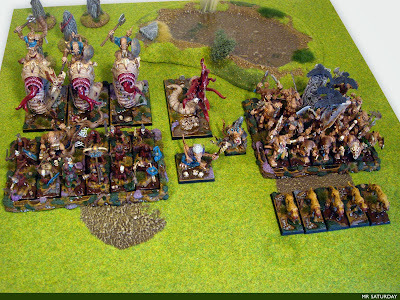 Evion had a doombull, big block of gor, two razorgor chariots, level three mage on beasts and all the chaff. Evion also brought a toad dragon, which I could not stop getting into my fimm. Double thunderstomp is nasty. Despite beating the doombull the meargh was not in place to help the rest of the army for much of the game. 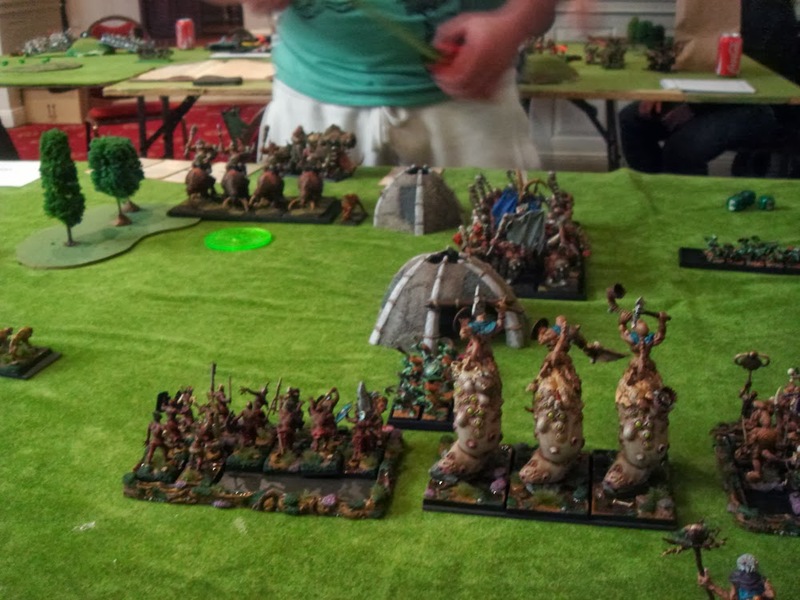 We actually ended up in with nearly all our armies in each other's deployment zone on turn four.The beast army was beautiful though, a real joy to play. Evion pipped me for an 11-9 win. You wouldn't hit an old lady, would you? The fimm eye up the toad dragon before the storm hits. Wait for it....wait for it...see it yet? At this juncture I was pretty pooped. Pooped but happy. All my opponents were top blokes, and the social side of things was rather splendid, including Mr Paul Quigley's 30th birthday hoolie, sailor suits and all. Drinks were taken, stories were told, flouncy shirts were worn. In the end I placed 15th out of 26, which I regard as extremely respectable considering my lack of preparation and experience with the list. Sunday afternoon brought prizes. The full results should soon be up on Wargaming Ireland. The emerald daemon had it's first year, with a superb level of entries for the categories, providing some conundrums for the judges. 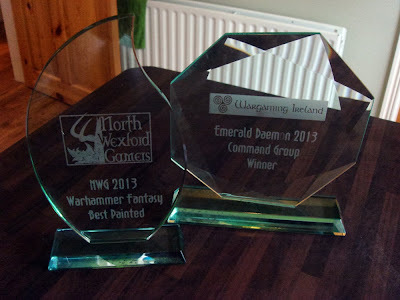 I was delighted to pick up best painted army for warhammer and best command group in the emerald daemons. Forgive me as I get my trumpet out. The higher focus on hobby for the tournament yielded a high level of painting including some truly great armies and display boards, especially among the WH40k players. More of that I say. 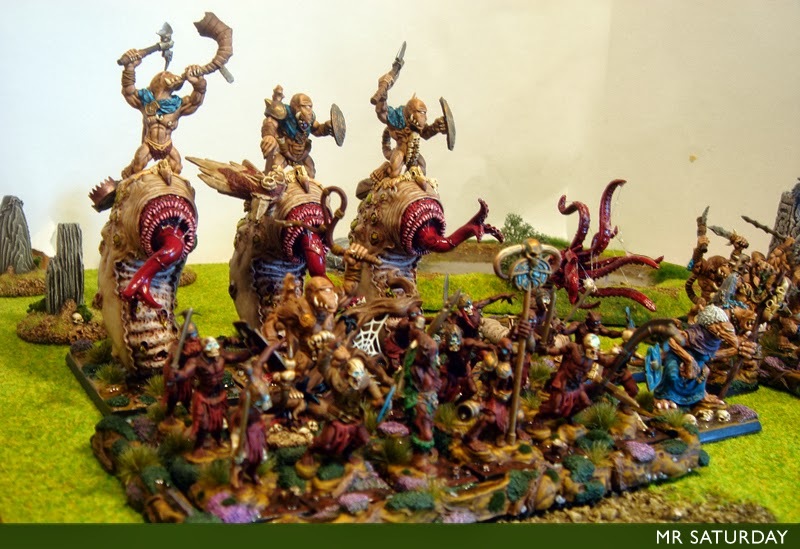 Here are some of the armies. All in all a true highlight of the wargaming calendar and I'll certainly be signing up for next year. Right, I'm off to NWG. Post tourney report Monday. Hopefully my cyclopean bog dwellers will acquit themselves adequately! That's right, I've made it to 2000 points. I can hardly believe I got this far. It's been a long project. 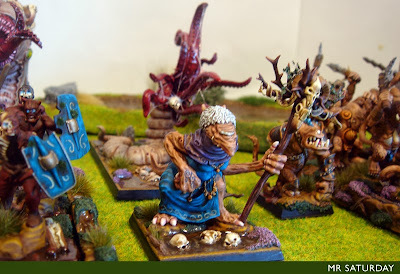 I kicked off this army in 2011 with a test model, the fimir from the old Heroquest game. 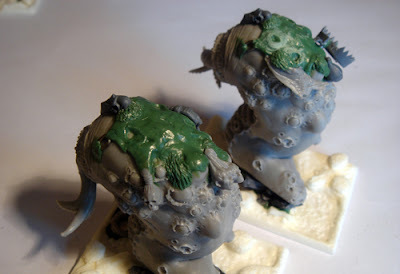 I then wrestled with the conundrum of building human size fimm warriors, eventually having to make my own heads and a multitude of bits and green stuffery to make the fimm the way I wanted. 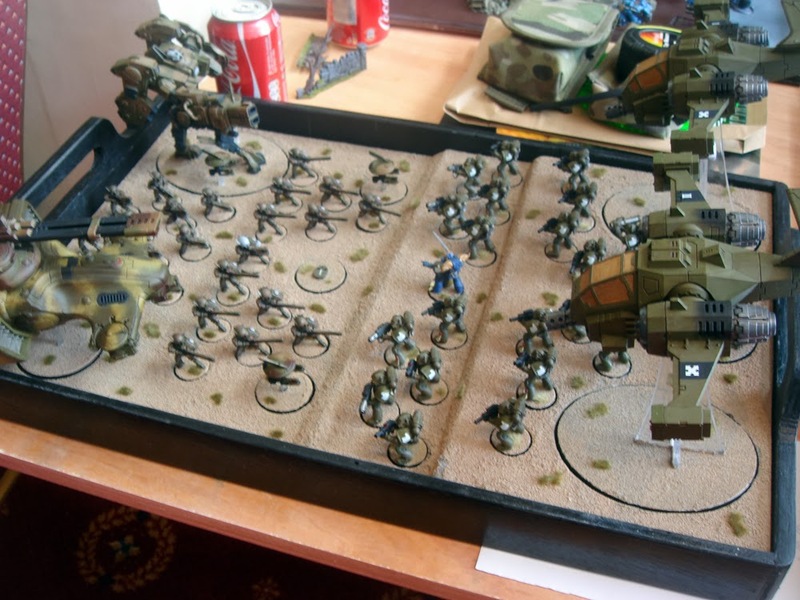 In the end there were only seven models in the army that have not been converted. I've had breaks from the project for months at a time, but it's been my main hobby project for nearly three years. 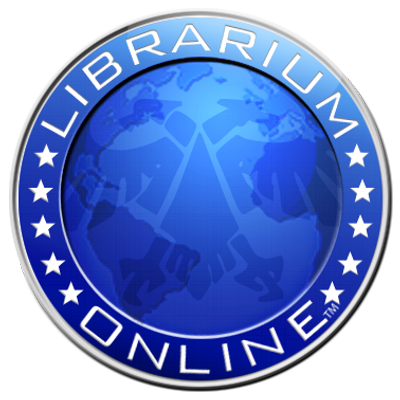 This give you some indication of how slow I am at this. 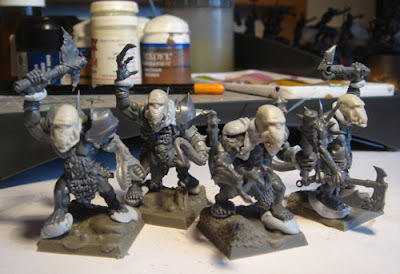 It's been really fun though, I've had the notion to do a fimir army for years, and now they're ready to go to war. As NWG looms ever closer, it's starting to look like I might get this army done in time after all. 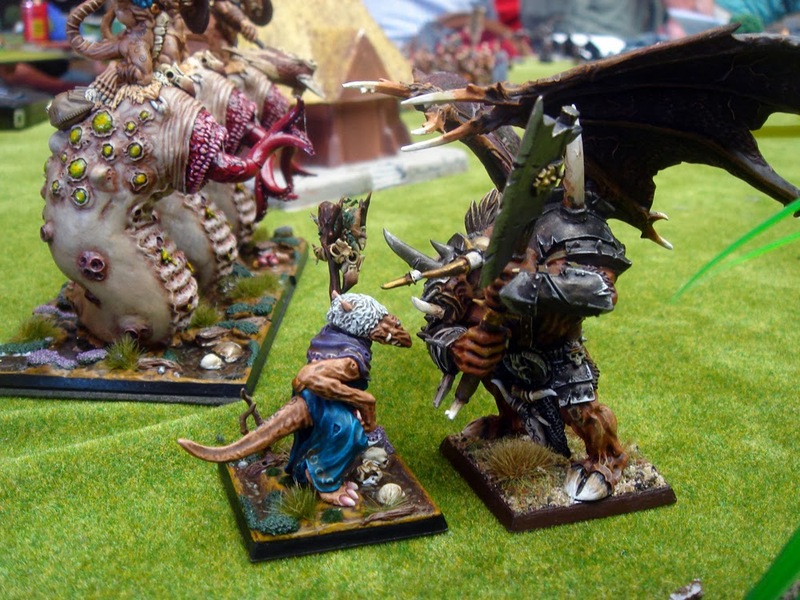 Two more marlwyrms join their previously completed brother to bring the unit up to three. The ogre parts I had hoarded were a Godsend, providing the musician's horn, the mantrap, bags, body parts and other bits and bobs. Scibor's Celtic shields really did the trick too. For now, the unit is complete, though I will add a fourth wyrm later on, the Gáe Bulg wielding Brodar. I have to locate an appropriate barbed spear head. On the painting table at the moment are five hounds. The colour scheme is based off Celtic mastiffs, and it does look pretty cool if a little fiddly. 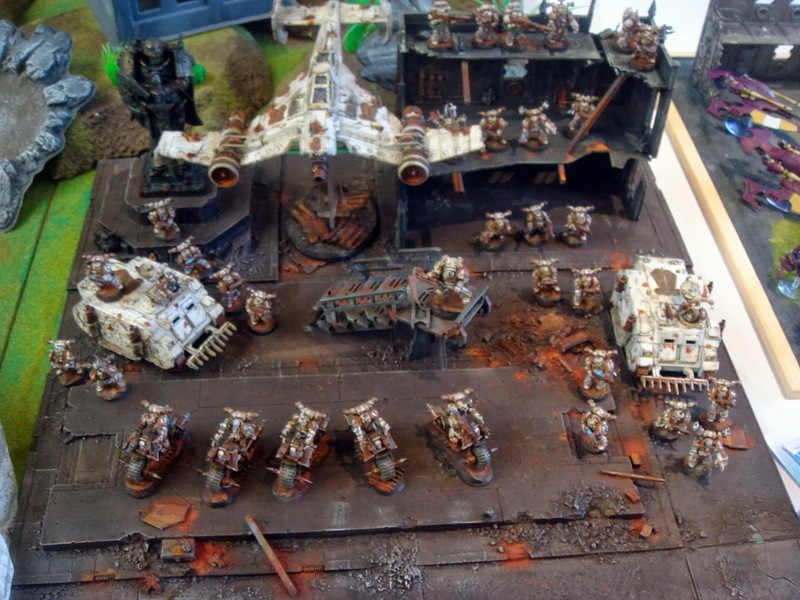 I have some base work and detailing left to do, then it's the army packing headache and we're off to blood the Fir Domhan at their first tourney as a full army. 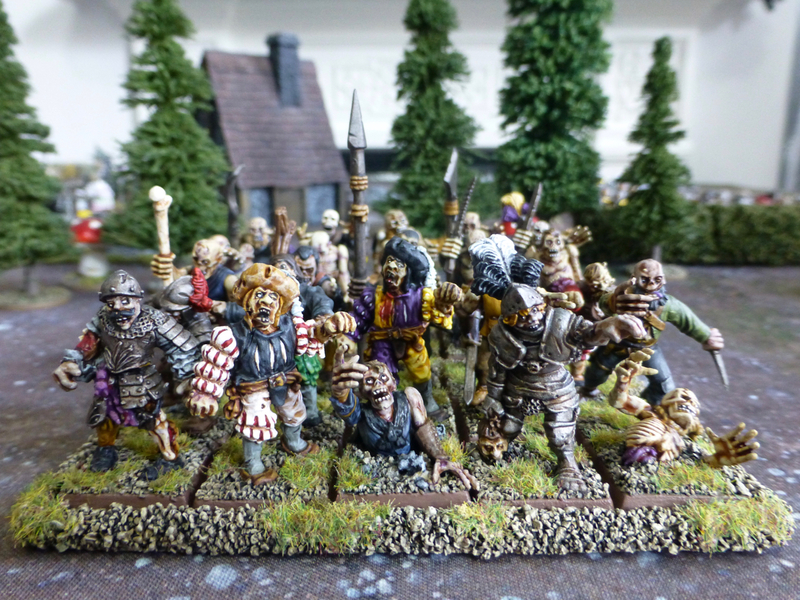 Here a couple more images of the completed musician and standard bearer. A day of joy and wonderment here at the mumblings, as the dials tell me the 200th follower has signed up to the blog, lured in by my shiny wit and sparkly dancing. Surely I will be on the news later. Thanks to all for your interest and contributions, rest assured I will continue to talk about myself and whatever the hell else I like for as long as it interests me to do so. Promise. Now, time for a party. A sparkle party. Warp spasming fimir nutters up next? 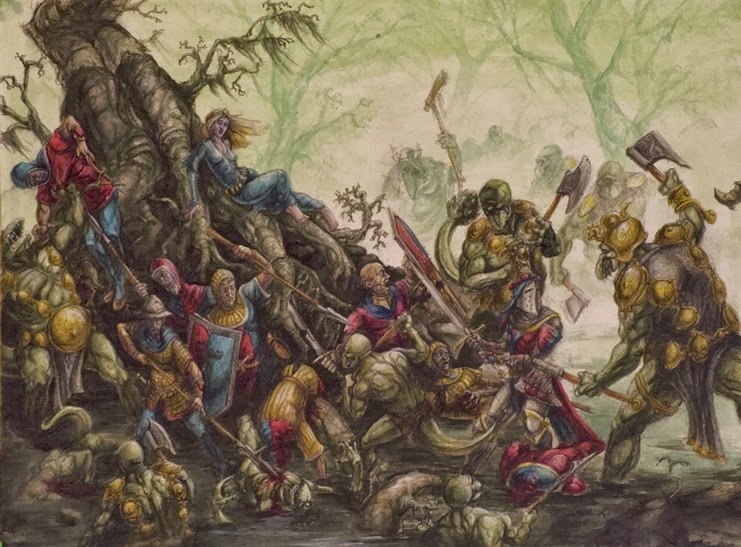 Even in the midst of a berserk painting schedule, my mind is starting to wander to what I need to bring the fimir from two thousand to two thousand four hundred points post NWG. I will need to do a little tidying up first though. 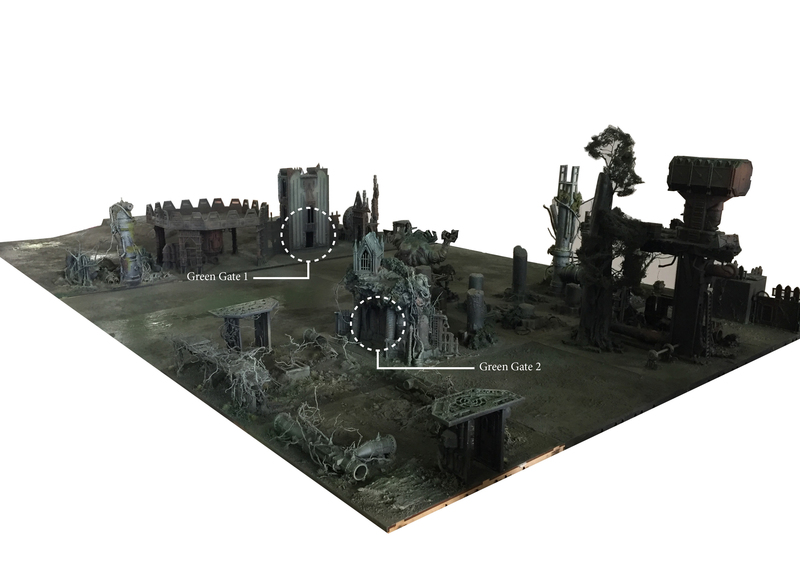 Add the fourth marlwyrm, Croms hell cannon base and maggot 'crew', a war-hound handler, two unit move trays and a 50 x 50 plinth for the meargh. After that though, it's clear skies. There are a couple of units I'd like to have a go at. A unit of eight fenbeast led by a dirach (trolls with Throg) are high on my list, as well as a unit of warped (forsaken). I know the forsaken are supposed to be garbage in blocks, but I can't seem to stop myself. They'll be such fun to convert. I guess I am a hobby gamer after all. 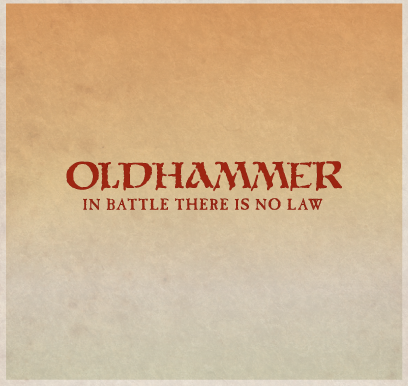 The other notion is a pretty involved battle standard bearer. 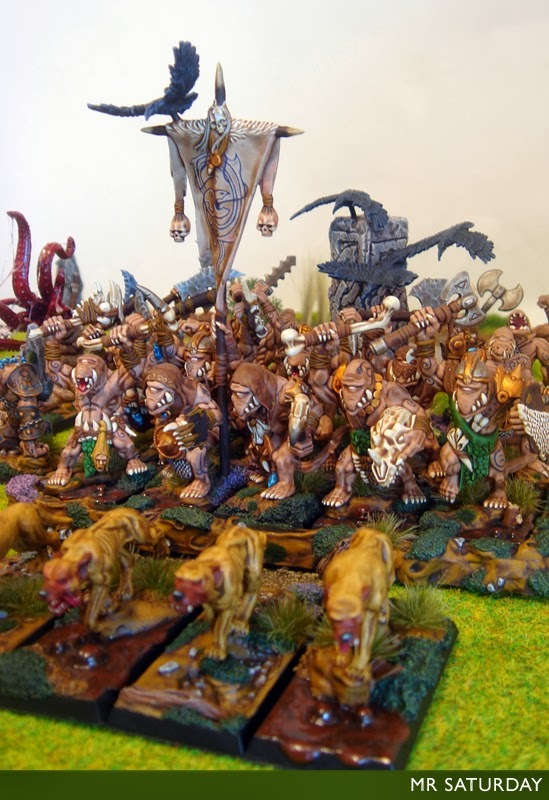 I want to do quite a large banner with some eye-destroying freehand, and rows of empty spikes set at points around the banner. Why would I do that? Well, I can't recall the source, but I did read about a player who did something similar and after each notable victory added a head or some other trophy to each of the spikes, the head depending on the army he faced. I think that's such a great idea, as the battle standard will become a record of great games won as the army ages. There's also Balor. I have a fair amount of parts for him now. He'll be the most involved conversion I've done yet, but it'll be a great project. The pre-NWG painting frenzy continues. 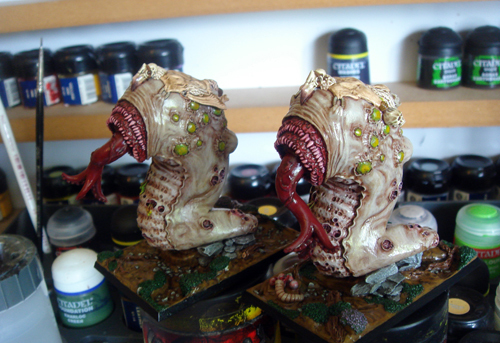 Two more marlwyrms are now complete and awaiting riders. I did rather enjoy painting the tiny version of Crom on the base of the guy on the right. I love adding those little details. They've just been given a coat of gloss before the matt is applied. It's usually when I'm putting the coat of gloss on I spot any little mistakes, and these lads were no exception, so there's a little touching up to do before the matt goes on. 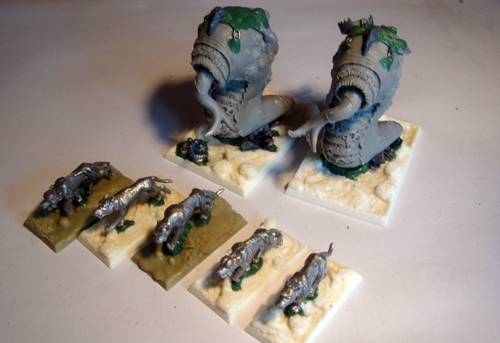 (Then more gloss on the pustules, then moss and grass on the base, then water effects, then drool...) I now have eleven days to paint the two riders and five war hounds and I find I'm looking up dog marking patterns for Celtic mastiffs. I really must love punishing myself. 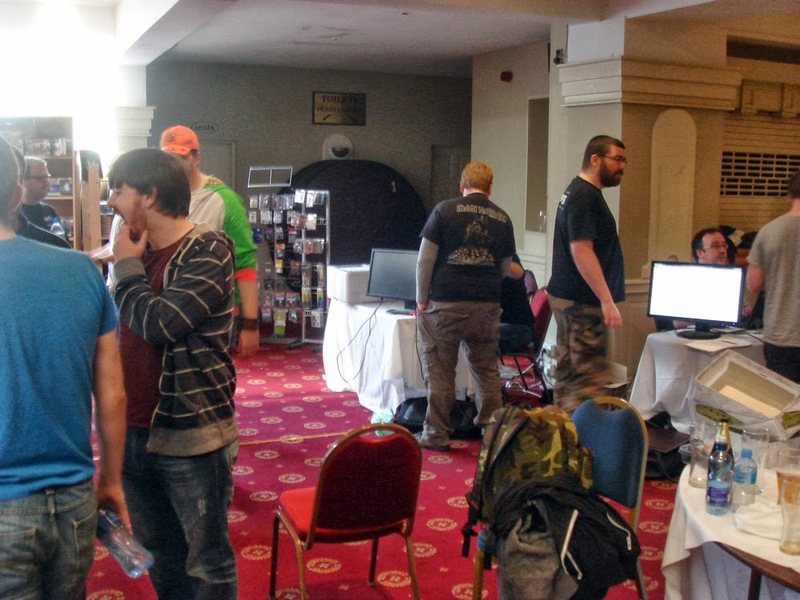 Last weekend we held KnaveCon 2 in Limerick, which moved it from a gathering of mates to an actual event. 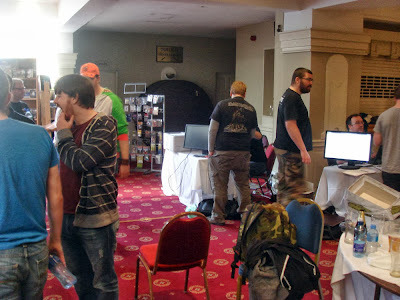 There were trade stands, The Gathering, Wee Gamers and Boardgame Guys. There was a bring and buy, a huge array of superb donuts from Dungeons & Donuts and as much free coffee as you could fit in your gullet. We had three coffee machines running all day, and by days end there was a rut in the carpet between the coffee and donut stand. 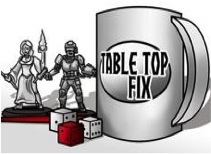 A magical synergy that bodes well for KnaveCon 3. Oh yes, and as many board/card games as you could eat. I mean play. Everyone looked like they were having a fine time, and there were a multitude of games available to play, as well as the teetering piles folks brought with them. 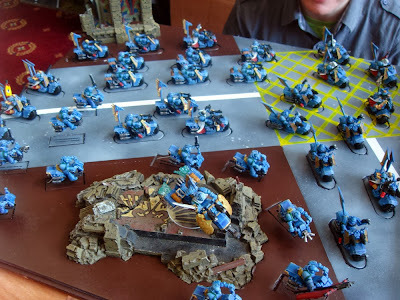 From Warhammer Invasion to MTG, Spartacus (such a great game) to X-wing and Lords of Waterdeep, the only real problem on the day was how to get in everything one wanted to play. 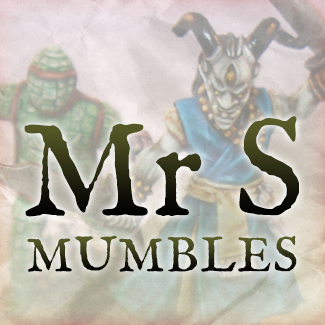 I brought some old school GW games, and managed to rope some folks into a game of Curse of the Mummy's Tomb which I'd recently nabbed off ebay for a song. Good fun, a nice starter game before heading into something more meaty, or in my case a four hour long epic game of Block Mania featuring five blocks. We actually managed to collapse a block during the game such was the firepower unleashed. A game of Werewolf in progress. The vibe was very relaxed, and we were very happy with the attendance. A big thanks to all who came along, and hopefully we can get even more folks to the next one! 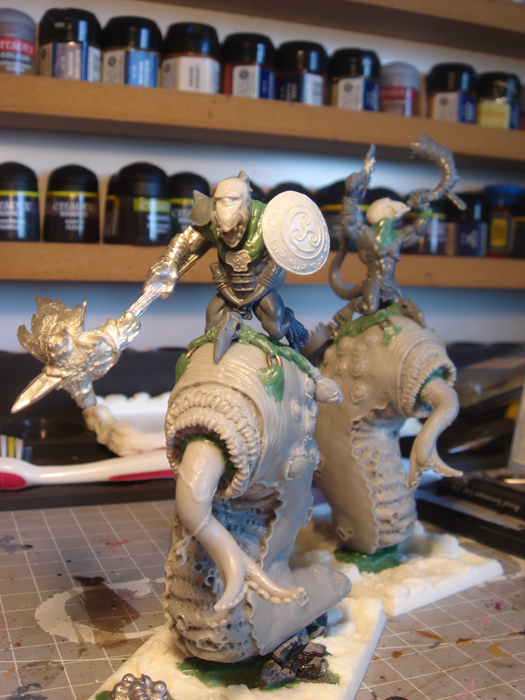 It was all about the greenstuff last night as I worked up the marlwyrm riders. Mostly gap filling, but this fellow needed a neck, a rebuilt right shoulder and some work where his tail meets his previously orcish bottom. I added a cowl as well, with a bronze broch to the front. This time I'll paint the bugger before I stick him on the mount. You can see the musician in the back there. I've just started on his neck musculature, which is a little tricky as he's turning and angling his head. Time for the anatomy books. I better decide is he's going to be hooded first though, it wouldn't be the first time I've spent an hour sculpting muscle only to cover it with a hood, cloak or coif. 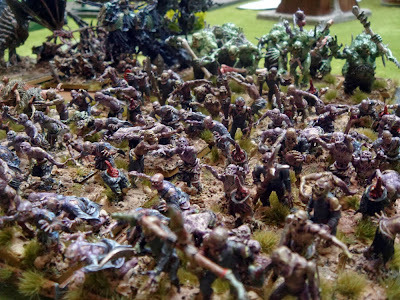 The frenetic modelling activity continues as I try to get the army ready for NWG. I've managed to get the five warhounds cleaned and based up. Eventually they will have a handler, but there was no way I was going to get him done in time, so for now it's just five doggies. 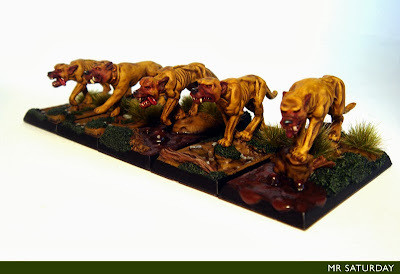 They are all old Citadel chaos hounds, the non-mutant ones. They took a while to acquire, I can tell you. Nothing for an age and then boom, I picked up about six or seven within a couple of weeks. In the background there are two marlwyms, freshly saddled. The hide saddles still need a little filing and tidying up, but they are essentially done. The riders are also assembled, but need some sculpting work before the painting can begin.